If I didn't say this before I'll say it now....I ABSOLUTELY LOVE SEAFOOD!!!! Man oh man, it's like the best thing next to fashion- lol! I'd been craving shrimp lately so I went and bought a big bag of extra large shrimp from BJ's wholesale and they are so worth it!! 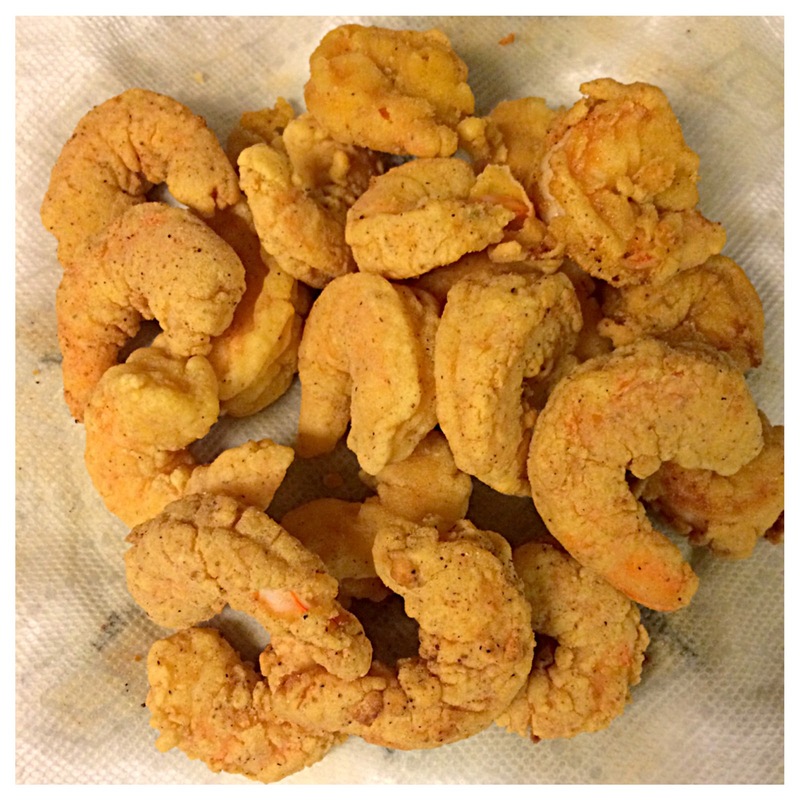 I fried a couple up using the Zatarain's shrimp fry and I must say it was a WIN!!! It was my first time using their shrimp fry because I normally just make up my own batter but this Friday was a late night so I decided to stop and pick something up. They came out GREAT! The color and the taste were on point! Finished Product paired with a small simple salad!! !